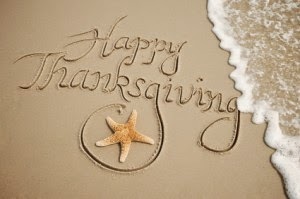 Barring the unexpected, our ATA Team will be taking this Thanksgiving weekend off to enjoy life. Have a safe holiday and we hope to see you back here soon. Anderson Cooper was live in Ferguson tonight as the news broke that there would be no Grand Jury indictment of Officer Darren Wilson. Sunday Flashback Series: Season Two, Episode 13, Part 2 - The End! Now we know that Dorothy is the winner, Anderson breaks down how she did it. Next Anderson shows the group a montage of the "King of Coalitions"! Anderson breaks down how Bill, The Mole, had to work to sabotage the games. There were clues given to viewers in each episode. Anderson reveals them all. Anderson Cooper 360 - ICYMI - GOP-LED Report Debunks Benghazi Theories + Extras! Anderson Cooper anchored AC360 from the NYC studio tonight and there was a very brief mention of the report released today that debunked the GOP theories on Benghazi. It was their own report, so the GOP dumped it on the Friday afternoon before Thanksgiving to avoid much news coverage and given the very brief statement more than 2/3 into AC360, I'd say their strategy worked. Perhaps Drew Griffin and his investigative team could look into the tax payer money wasted by the GOP chasing their theories to try to bring down President Obama instead of actually legislating? Anderson Cooper accompanies volunteers who use modern technology to locate the remains of airmen missing in action in the waters off Palau, the site of costly World War II battles in the South Pacific. We'll have it covered for you after it airs. According to the following tweet, Anderson's 60 Minutes report that he traveled to Palau for in April, will air this Sunday. While 60 Minutes has yet to post their scheduled reports for this Sunday, we will watch for it and cover it after it airs.